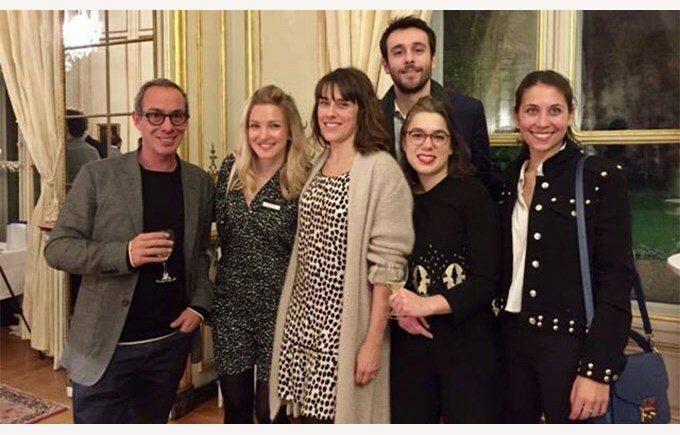 Alumni members met on 28 February for a “Stamm” at the Swiss Embassy in Paris. The event was organized by Swiss Learning, a group of Swiss boarding schools where Champittet was represented. It was a great opportunity for our Parisian Alumni to enjoy some delicious Swiss food and wine while catching up with their peers. Our alumnus Nicolas Luchsinger, currently working at Van Cleef and Arpels, was a panelist during the event, and provided a beautiful testimonial about his boarding years at Champittet, including some good laughs! Several generations of alumni were represented and had the opportunity to network and meet. For Champittet, these contacts are important as they provide a reference for the current Champittet students who would like to work or study in Paris. Last but not least, there was a great atmosphere ! A special thanks to our Paris StammVater David Wise for organising!